I grew up in a family of teachers. Just a Community College kid who found, addressed and strengthened my weak links. I have been knee deep in this trenches of the fitness industry since 1997. I grinded through a 4 hour a day commute for 3 years just to work at Manhattans premier training facility, The Sports Center at Chelsea Piers. After paying my dues and climbing through the educational & practical rungs that the city had to offer, I started my own company New York City Strength & Conditioning Industries. A private personal training company catering to some of NYC's prominent figures. During this time I founded my signature, trademarked black Self-Discipline™ wrist band www.selfdiscipline.com, which serves as a reminder for the other 23 hours a day im not with my clients to make conscious decisions throughout the day. A simple tool to help battle your training, eating, fiscal, addiction, mental & emotional habits. To date I have completed many of the nations top certifications to date and personally studied and/or mentored under today's leading educators in the field of fitness & wellness. I have had the pleasure of working with a diverse group of individuals from all walks of life including some the world's most influential players in the game: Superbowl Champions. World series Champions. NBA Champions. Grammy Award winners. Oscar winners. Wall Street tycoons, Politicians, Super models, Fitness competitors. Pre & Post natal inspirations. I have been on multiple world tours coordinating training and nutrition programs from almost every major city in the US to Europe, Asia and the Middle East. Along this journey I had was able to visit and train in over 100 gyms worldwide. I currently reside in West Hollywood, California and own and operate a private personal training studio Heart & Hustle™. Los Angeles' most prestigious, private, one-on-one personal training facility. HEAD TO TOE, FRONT TO BACK, LEFT TO RIGHT. I take a joint-by-joint approach and train the body how it is meant to move in multiple planes at different speeds, with what tools are at my disposal. The methods, tweaks and or techniques I weave into a program design vary with each individual and their phase of training. I incorporate functional training with traditional strength training. I couple it with some good old fashioned bodybuilding tactics then integrate it into a performance program. I bake individualized, fun programs fresh every morning to keep the clients happy and anxious to come back the next day. I make the intensity difficult but not impossible. I make certain that every second of the workout is accounted for. I accommodate if multiple daily training sessions are needed or required as the individuals “goal” date draws near. Design, build, maintain and sustain is the template I follow. I try to coach the individual on “how to fish”. There’s is an old saying, "If you give a man a fish, you have fed him for today, but if you teach a man how to fish, you have fed him and his family for a lifetime." There is a chaotic ocean of nutritional advice, gimmicks and diets out there. So I let them know where the healthy fish swim and where to drop their hooks. I educate them on the importance of organic or “chemical free” foods. I educate them on the importance of wild or pasture-raised meats. I teach them how farmers markets might be a better option for food shopping, especially when on a budgeted income. Eat a lot more fresh vegetables and fruits, preferably organic, in salads and soups or lightly steamed or juiced. Eat naturally-raised meats including fish, seafood, eggs, poultry, beef, lamb, game and organ meats – yes, organ meat, but only from a healthy, wild, natural source. If you can metabolize and do not have an issue with dairy, raw milk is a great option. If you can't get raw milk in your area, search or demand pasteurized, grass-fed, pasture-raised organic milk. Use only traditional fats and oils, including real butter, extra virgin olive oil, flax and tropical oils, such as coconut. If you don't have grain or gluten issues, use whole grains, nuts and seeds that have been prepared by soaking and sprouting. Prepare homemade meat and vegetable stocks from the bones of chicken, beef, lamb or fish. Use natural sweeteners in moderation, such as raw honey or maple syrup. Use only natural, whole food-based supplements. Get plenty of sleep, true exercise and natural light. Practice forgiveness. Think about it, your thoughts are so powerful they can effect your digestion. Practice self-discipline! Remember, you control the environment, your environment doesn't control you. Look, smell and give praise to that animal you're about to consume. It gave its life so you and your family can live yours. "There is a food revolution about to arise. And I feel like my little role in it is similar to a set of jumper cables. I try to get the individual moving better, once they start to move better-they start to eat better, once they start to eat better -they start to think better. Once they start thinking more clear, they start the process of becoming conscious. And once you reach true consciousness...well, Alice Waters says it best... Once you understand where your food comes from, you will look at the world in an entirely different way. And there is nothing else as universal." My anchor which helped pull me out of my clouded youth. From fighters to fashion models, actors to contractors I had the pleasure working with a diverse group of individuals from all walks of life. “I've always admired Gregg Miele. We met at one of our first MBSC Mentorships. I was immediately impressed by his energy and desire to improve himself and, I love the NYC attitude. He has as a genuine passion to help people. It's obvious. 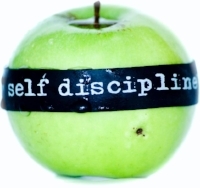 I love the whole idea of selfdiscipline.com. It's not about money, it's about helping people. I have already begun to buy bracelets for my clients and his new business Heart & Hustle is a pretty good description of Gregg." “I can honestly say Gregg Miele is one of the most dedicated, hard-working and thoughtful trainers around." “You get what you pay for in this world. You are the real deal!" “Gregg Miele’s captivated smile and sculptured body... A product of his relentless passion for teaching make him one of the most infamous personal trainers in New York." “Just great. He’s got style, class, and swagger combined with a blue-collar work ethic." Studies have shown that pleasing aromas can raise productivity, morale, and even reduce stress.